This RADIOLA! is just fine, thank you. RADIOLA! streams continuously from my Live365 station. Well-disposed-cast here. Each RADIOLA! program is sent to subscribers on my mailing list (email here). 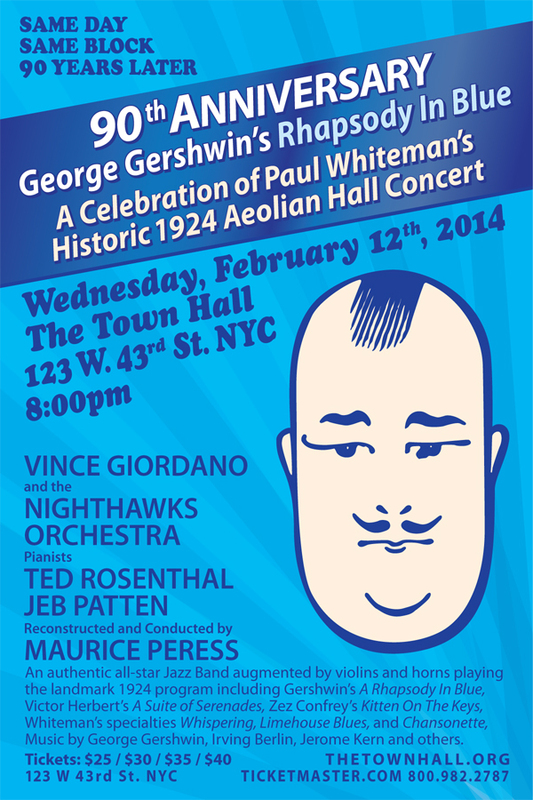 Paul Whiteman’s historic Aeolian Hall Concert will be recreated on Wednesday, February 12, 2014 at The Town Hall, NYC, on the same day and same block as the original concert 90 years ago. 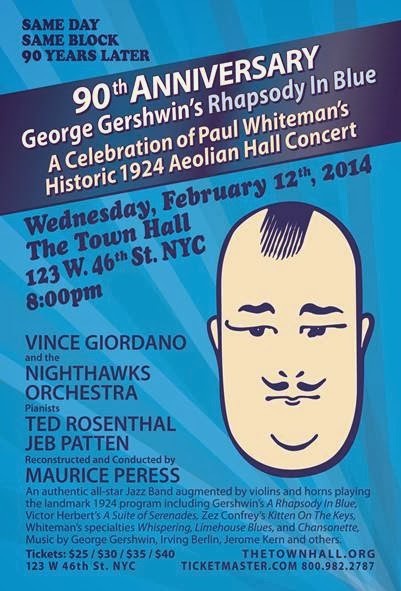 Program features solo pianists Ted Rosenthal, Jeb Patton, and the 22-piece Vince Giordano and the Nighthawks Orchestra, conducted by Maurice Peress; Jazz Age concert will feature music of George Gershwin, Irving Berlin, Victor Herbert, Jerome Kern and Zez Confrey. This RADIOLA! overcomes its own formidable inertia to launch into low orbit. RADIOLA! streams continuously from my Live365 station. Surly bonds of Earth-cast here. Each episode of RADIOLA! is sent to subscribers on my mailing list (email here).